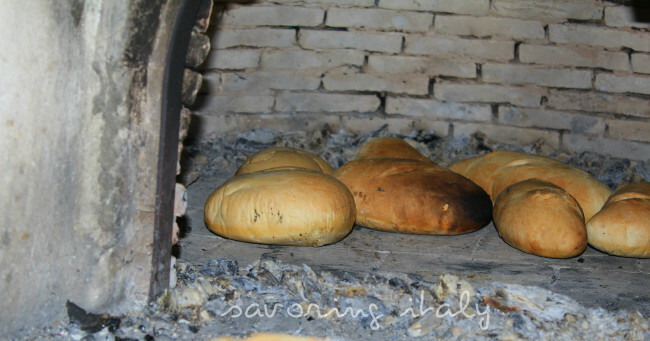 I have been meaning to share some photos of making pane Calabrese in Sicily. When my mother-in-law Teresa comes to visit us from Italy, I give her free reign in my kitchen. The first couple times she visited, I wasn’t too willing to give up the culinary control. I know, what was I thinking?!? Completely ridiculous. Especially since she is crazy talented. She can cook around me, my whole street, even this whole city, with her eyes closed! She is fast and furious in her preparations. If you can’t keep up with her, it’s better to just go and set the table or tend to something else that is more menial. I have finally learned the ways around my kitchen with her here and I usually take the role of a very willing observer and photographer. I learned my lesson to not even offer to preheat the oven. I erroneously tried to help her last January when they were here and preheat the oven. I didn’t realize that Teresa had a tray of bread rising in the peace and quiet of my empty oven. She miraculously kept her cool and the bread was salvaged. I’ve come to the conclusion that there is no need for me to feel that she is intruding in my kitchen. I engage in complete submission: la mia cucina e la sua cucina. Really, it doesn’t make any sense why I didn’t adopt this easy-going attitude much sooner. For example, this summer in Sicily. My in-laws took a trip with us to visit my father’s hometown. We were lucky to have the opportunity to stay with family by the coast. The views were spectacular and we pretty much ate all day long, took a break to go get more food supplies, then ate some more. A typical Italian summer holiday, except this was filled with fresh seafood from the Mediterranean Sea. My cousin Alessio constructed a pretty amazing brick oven to cook in. It’s hardly been used and if you ask Teresa, they have no idea how to use it. So that’s probably why it’s barely been used. She didn’t mean it as an insult when she said they don’t know how to use the oven. It’s a pretty complicated and even dangerous process to get the oven going. 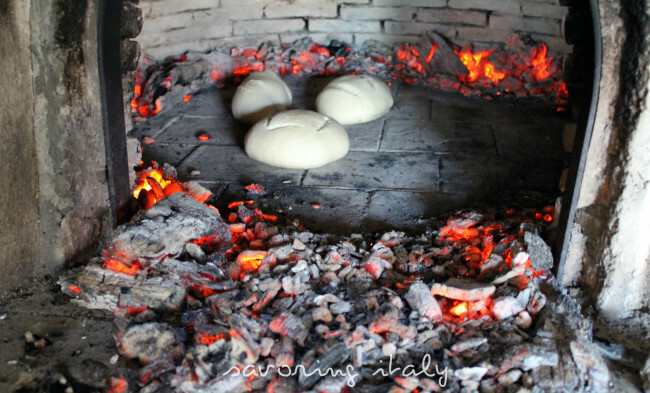 Teresa grew up in Calabria making bread in ovens like this. As I mentioned before, she could probably do the whole thing with her eyes closed. Although since this is involving flames, probably not something she would do. Alessio’s wife Winnie knew that Teresa had mad baking skills. She was being polite and not asking Teresa to make any thing the whole time we were there. 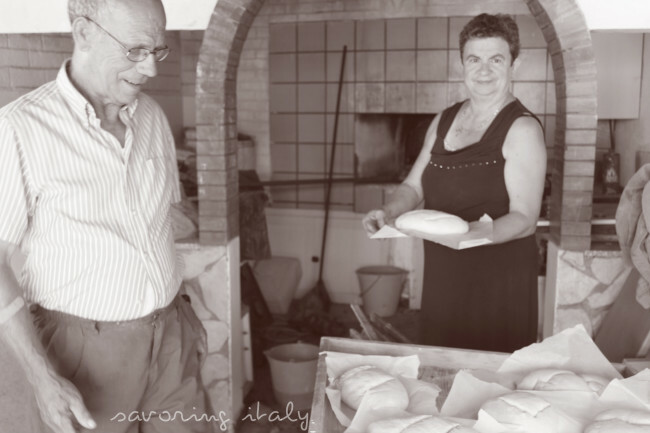 Winnie waited until the last day and then threw her request for Teresa to bake her famous Calabrese bread. Teresa accepted the challenge happily. As I find when I bake at someone’s house, it’s not the same as baking at my own. Teresa encountered some similar issues. The day she decided to bake we also had to run some errands in town and had to leave her bread to continue resting lovingly tucked under blankets on one of the guest beds (yes, some Italian women prefer to tuck their loaves comfortably under the covers to rise properly). How adorable are my in-laws? Teresa would not be happy that Domenico’s shirt was unbuttoned there on the bottom. He probably had on his tank top because it was about 100 F. But she made him wear his more dressy shirt and long pants, because that is the more proper thing to do. When we returned from our errands, Teresa was a little flustered. The bread rose a little too long and they still had to get the brick oven going. Alessio was trying to help get the oven going. My father-in-law had his way of starting the oven. Alessio had a different way of doing things with the oven. 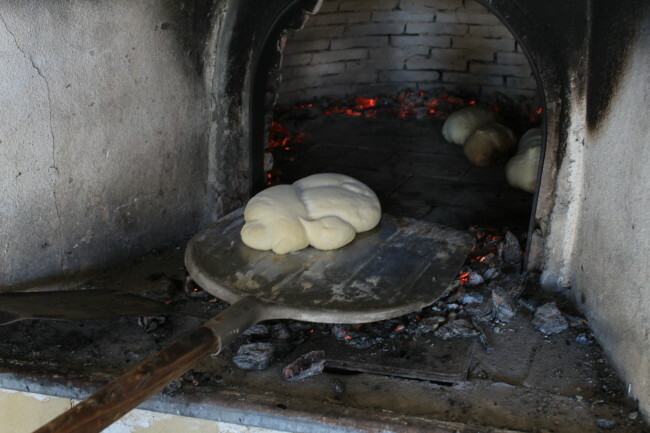 I was really beginning to doubt if Teresa would get to see her famous bread baked in Sicily. 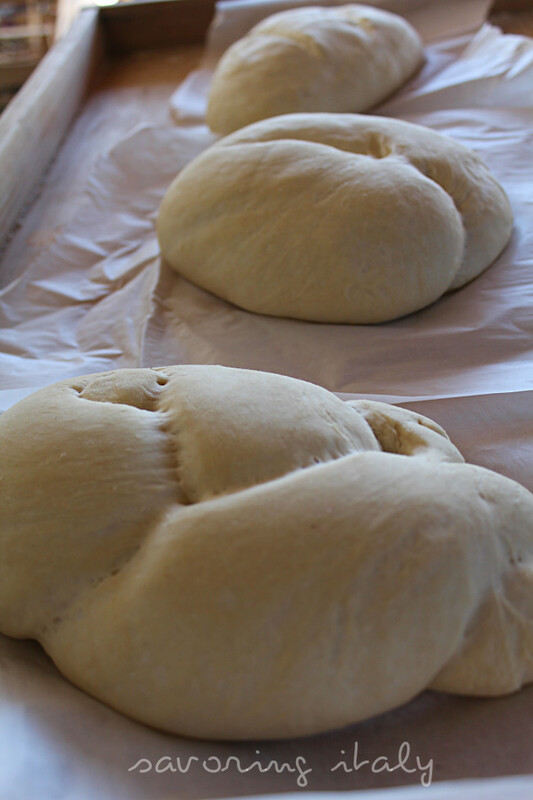 Even though there were some slight baking technical difficulties, the bread turned out quite perfect. Winnie was thrilled. We had some with dinner with our fresh fish dishes. Teresa was still commenting after we ate that the texture wasn’t right. That it rose too long and that they didn’t know how to start the oven. But most importantly, she was missing her lievito madre (her mother yeast)and that would’ve made all the difference. No matter what she says was wrong with the bread (and that there was any thing wrong was solely Teresa’s opinion), we couldn’t get enough of her bread! One day I will try to share her recipe here. It won’t be the same. I have had her bread here in Florida, at their house near Como, and in Sicily. 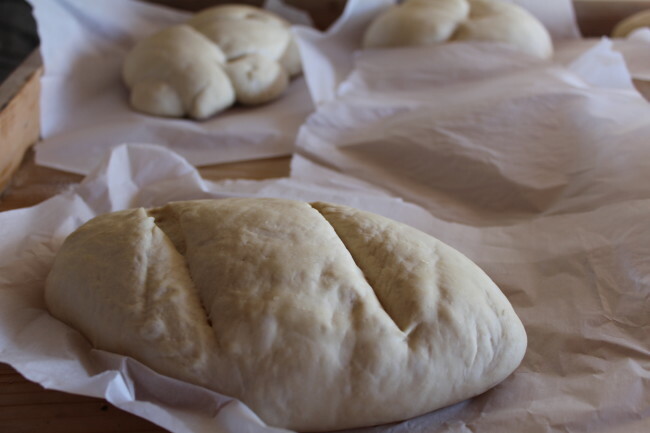 The only time it seemed as perfect as it could be was when Teresa was baking it in the comfort of her own home in Calabria.